A sunny day in February does not inspire an hour-long car ride to play in a windowless room. So Yago and I played hooky from playgroup today. We snuck off to relax in the sun at the playground. Our usual playground is next to a high school. Our company consists of teens smoking between classes or skipping out. They always say hello to Yago. Besides smoking hash cigarettes and spitting sunflower seeds it is hard to imagine them causing a police worthy public disturbance. But, today was truancy crack-down day. A police van pulled up on the pedestrian walkway. 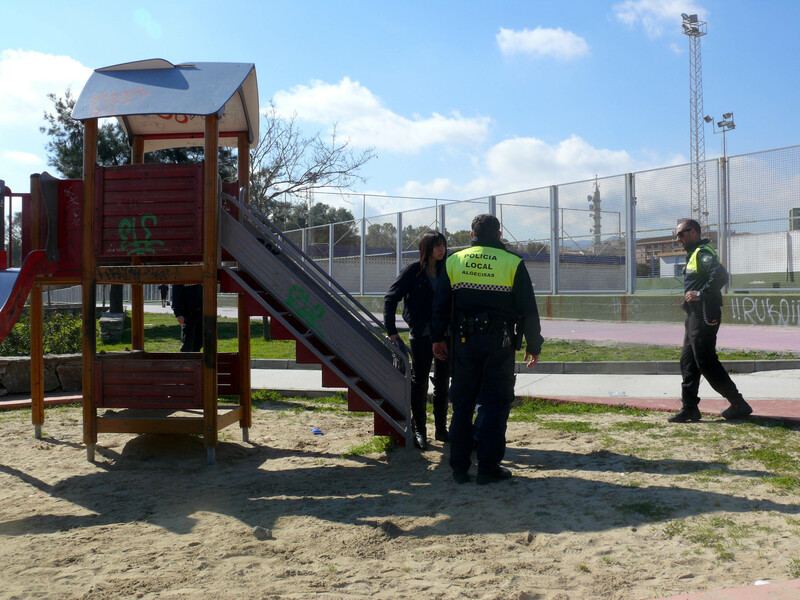 Four officers piled out and sauntered over to the slide where Yago was playing. I panicked. Had the playgroup called the police to report our absence? Turns out Yago wasn’t their target. They were after the young couple making-out in the hide-out a foot over his head. I couldn’t hear everything. Plus, I was trying to discreetly document the event with the camera hidden under the diaper bag. 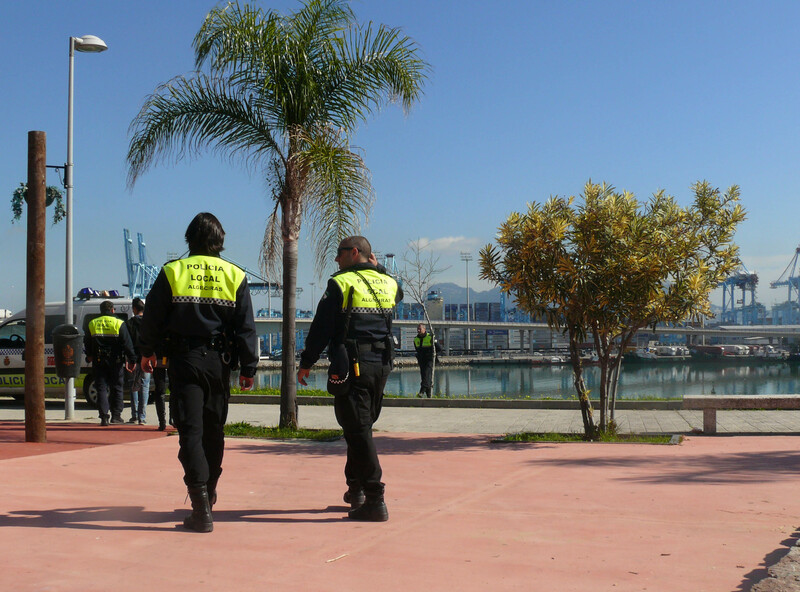 I don’t think photographing police business is encouraged. 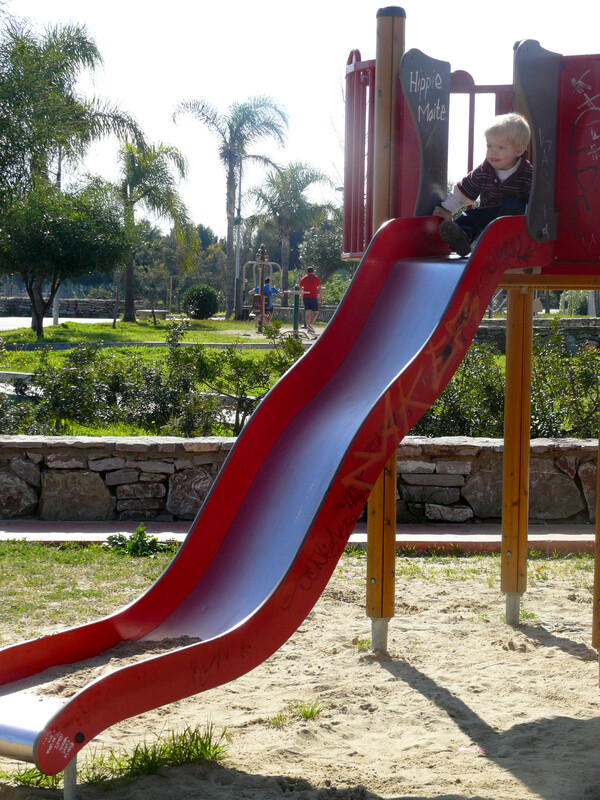 Even at the playground. Basically, the police just gave them a scare, with lots of nasty stares and gun handling. Yago was enthralled with the whole event. Then they walked the kids over to the van for further intimidation. And probably to get out of ear shot of Yago and I . 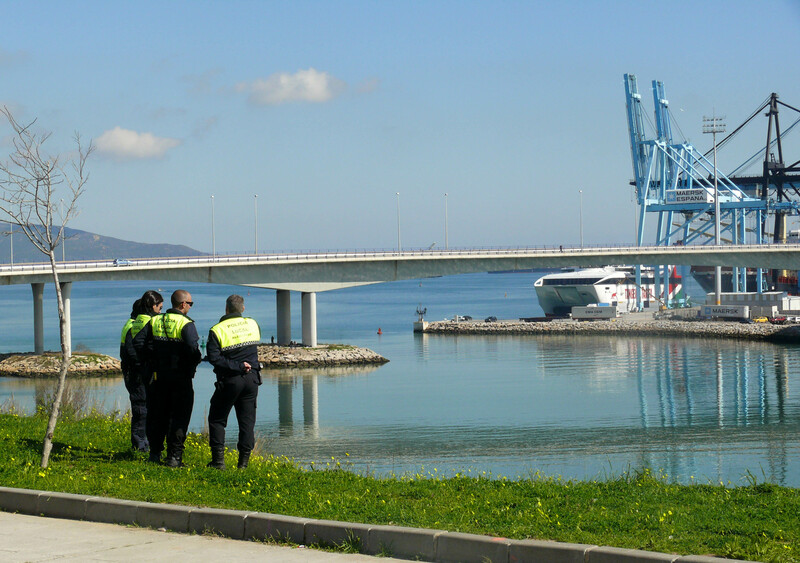 Then they stood and admired the port for a few moments…..
….and they drove off to deal with other pressing issues. Yago and I breathed a sigh of relief. Whew. No youth detention center or social service briefing for us today! But we were feeling the heat. We will be on-time with our homework done for playgroup next week.